I need some Get Well cards for my stash - so I made today's card with the "Wishing You Brighter Days" sentiment from Healing Touch Sentiments from PTI. First I adhered a piece of Tissue Tape/Sketch Book from Idea-ology/Tim Holtz across a white 4"x4" panel. I stamped the sentiment in the bottom corner with Archival Jet Black Ink. Then I took a wooden frame and a wooden dragonfly from Stationers Desk by Prima - inking the frame with black ink and the dragonfly with Gold Pigment ink. I adhered them over the tissue tape with Glossy Accents. Then I adhered the panel to the 4 1/4" x 4 1/4" card base. Even though it's white on white - the layering gives the card a finished look. I also like to wrap the tape around the panel edge - to be sure the ends won't lift off. 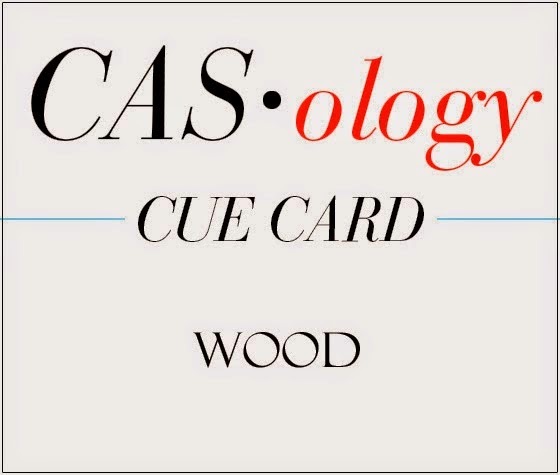 I'm linking my card to this week's Cas-ology - Cue Card - Wood challenge. 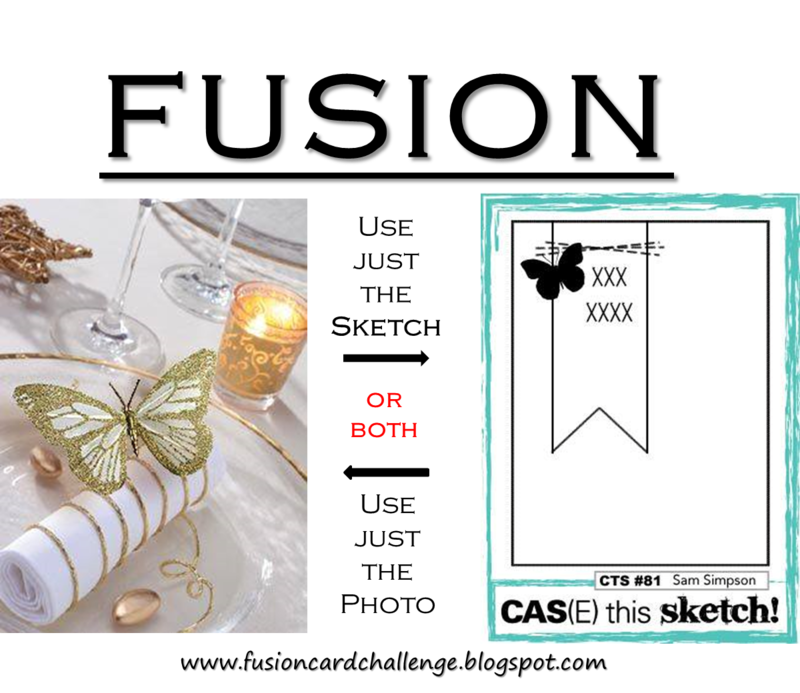 Accessories: Tissue Tape/Sketch Book - Idea-ology/Tim Holtz, Wood embellishments - Stationers Desk/Prima, Glossy Accents - Ranger. Have a Sunny Stenciled Birthday! Today I have a birthday card to share that I made using some brandy-new 'stuff' and some older stuff. The new stuff is two stencils by Dina Wakley - I inked the Plastic Canvas stencil with Peacock Feathers Distress ink - leaving a white patch in the center. Then I stenciled the rays in Mustard Seed and the half 'sun' in Spiced Marmalade - both of these stencils are part of The Basics stencil. 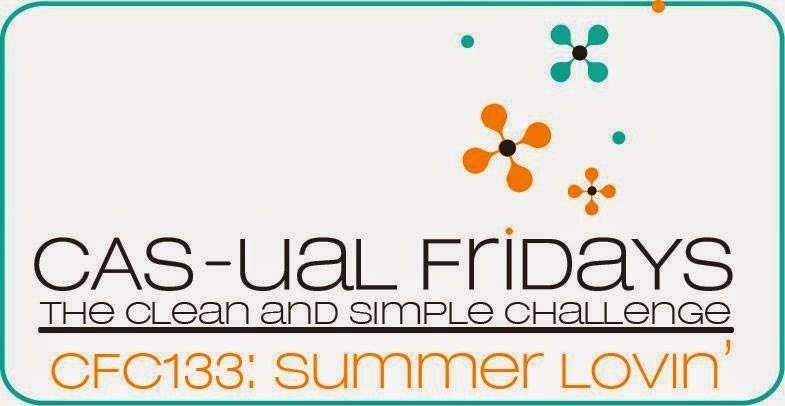 I'm taking a class that Dina is running in the end of August at Absolutely Everything in Topsfield, MA so I'm buying up some of her 'stuff' to play with before the class! The Happy is a PTI die from Tipped Tops Die set that I popped up on foam dots over the sun - then I stamped the 'birthday' from Studio Calico (retired I think?) in black along the bottom of the card. I layered the panel to a black panel, then layered it all to my white card base. This card makes me HAPPY - with the bright colors and the contrast with the black sentiment! 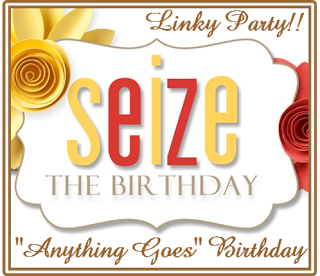 and Seize the Birthday - anything goes. 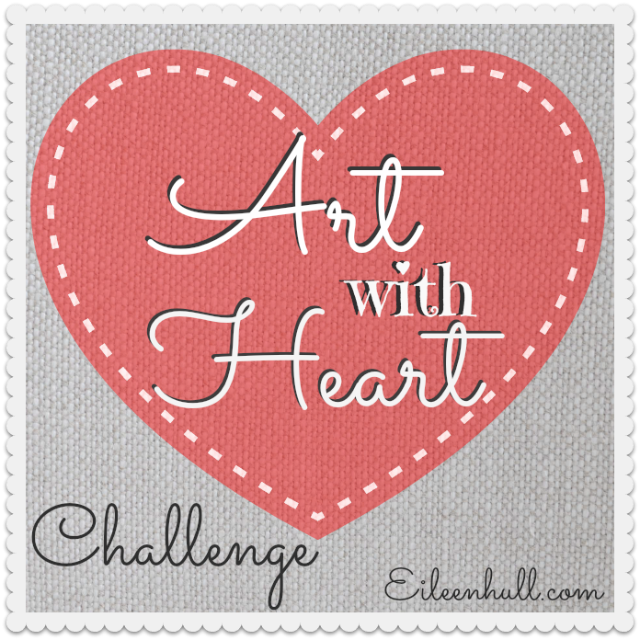 Oh - and check out this new challenge blog - Mixed Media Card Challenge - they are introducing half of the new Design Team today - you might see someone you know there ;) The first challenge is coming on July 1st! Accessories: Happy die - Tipped Tpos Die - PTI, Stencils - The Basics and Plastic Canvas - Dina Wakley, foam tape. 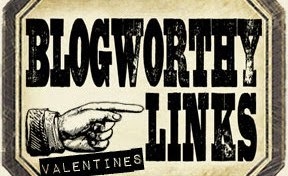 The Compendium of Curiosities Vol 3 challenge #5 has just been posted (on Saturday). For the next 2 weeks we are to look at Page 39 of CC Vol 3 - the technique is Distress Watercoloring - Part 1. We cannot describe the technique - as they wish for you to purchase your own copy of Tim's book - but here is my project using the technique. I sell some of my cards at work and I recently had a run on birthday cards - so I decided to make a simple card basically using just the technique. I stamped the cupcake from the Blue Print Assortment stamp set using Archival Jet Black Ink on Ranger Watercolor paper. Then I got out my Distress Markers and waterbrush and colored the image using the technique Tim describes for us. I adhered the stamped panel to my white cardstock base with foam tape. 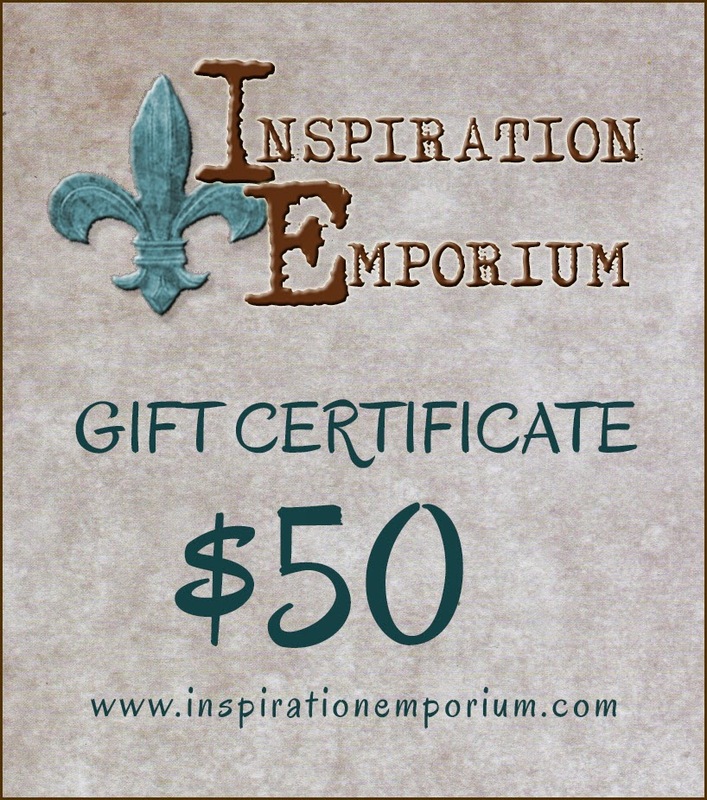 There are several prizes to be won with each CC3 Challenge - there's a new challenge every other Saturday - this week one of the prizes is a $50 gift certificate from the Inspiration Emporium! Accessories: Ranger Distress Markers - Worn Lipstick, Spiced Marmalade, Salty Ocean, Pumice Stone; foam tape, Ranger Distress Marker Spritzer, Ranger Waterbrush. So Glad You Asked for My Number! Today is Kent and my 17th wedding anniversary - so when I woke up this morning and Kent was still sleeping, I made this card for him - somehow family cards are the last to be made! Do you find that to be true??!! I'll give it to him as we eat supper out on our deck tonight. We're a little low key on our celebration of events lately - we'll be going out to dinner tomorrow afternoon to celebrate, since I attended a work dinner last night and am still stuffed from it!! I used a really fun stamp set called 'It's Today, Right?! from Lil' Inkers Design - that I purchased quite some time ago after seeing some really cute cards using the stamps out in blogland. So today - I cracked the set open and got it inky! I tried to keep it masculine - using white, kraft and black - with just a touch of bling and color with the Lemonade Blend sequins from Avery Elle - and the coloring on the flower and dress hem on the image with a Wild Honey Ranger Distress Marker. I used a stitched mat Circle and Square dies from Lil' Inker Designs and a Pinking Circle Nestability die. The image is popped up on foam tape. and here are 3 more sentiments from the set that I used on the inside - SO FUN! This is a second marriage for both Kent and myself - he was widowed 2 years before I met him - and I was divorced - a single parent- for 13 years when we met. We met through mutual friends - and hit it off right away - started dating a week or two after we met and got married 2 years later. 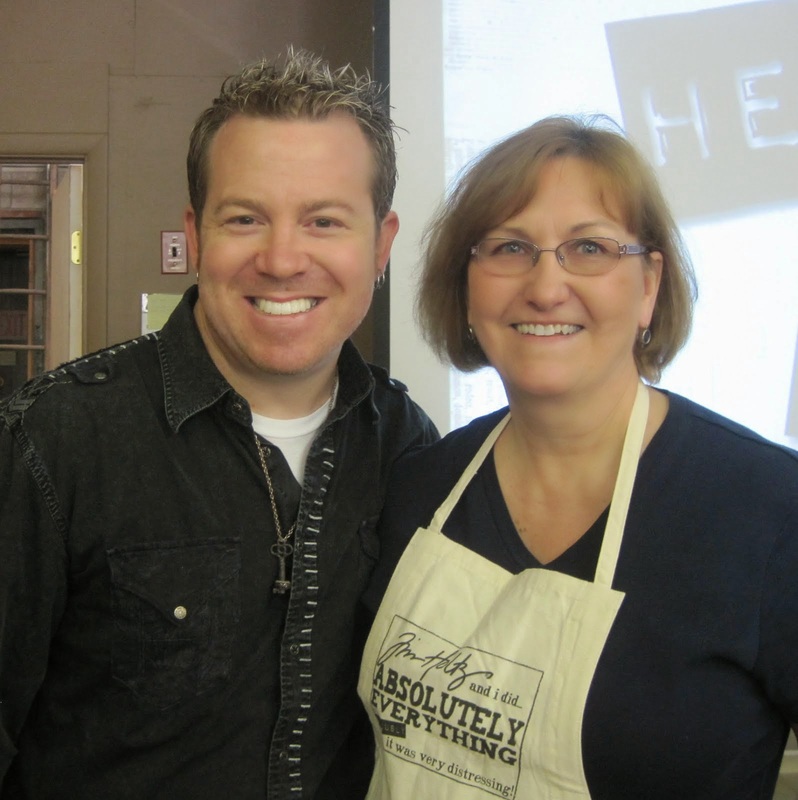 He has been and continues to be - a blessing in my life - Love You Kent! 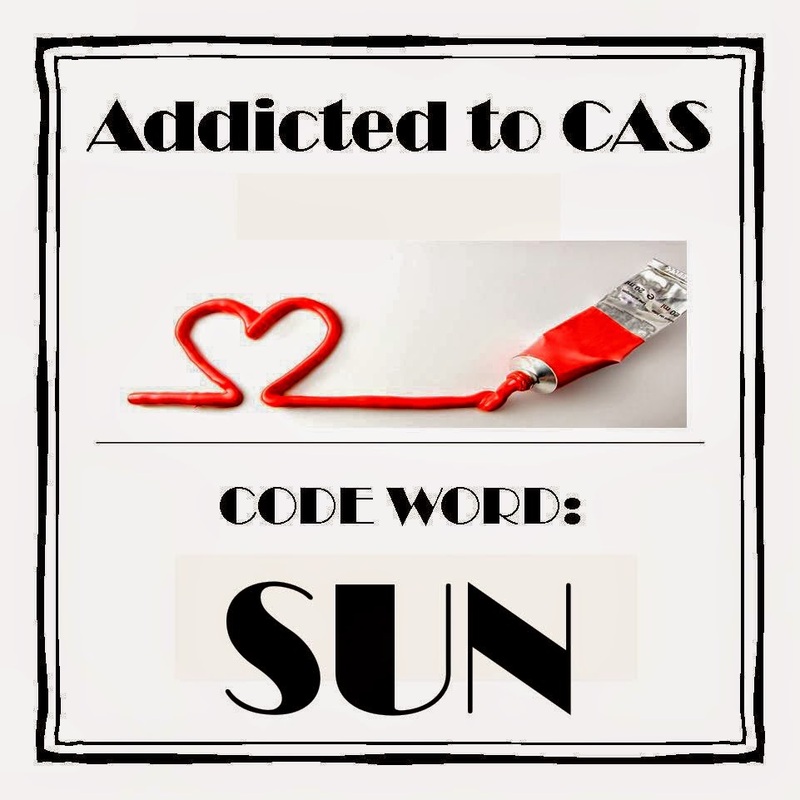 Cas(e) this Sketch - combined with Fusion this week - I just used the sketch here. 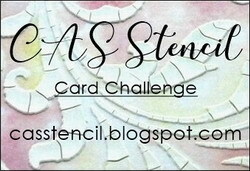 NBUS Challenge - Celebrations (my 2nd entry) 1st time I've used this stamp set. 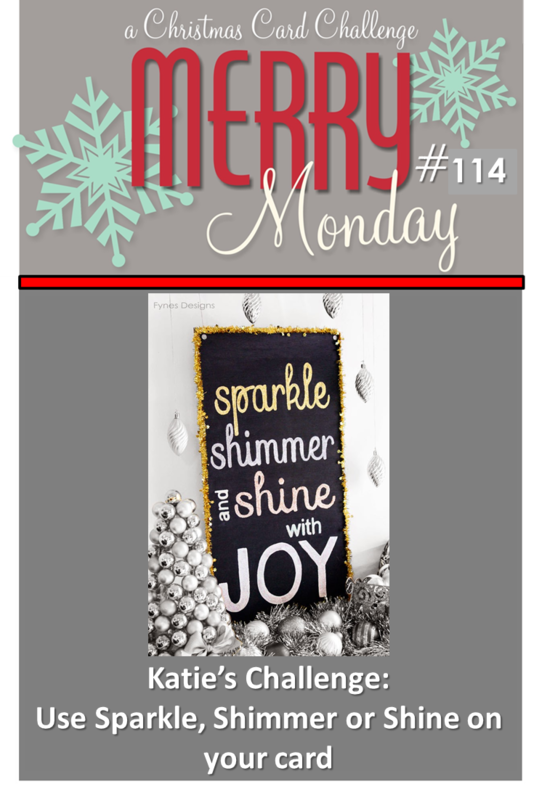 Accessories: Square and Circle Stitched Mat dies - Lil Inker Designs, pinked circle die - Spellbinders Nestabilities, foam tape, Wild Honey Ranger Distress Marker, Lemonade Blend Sequins - Avery Elle. 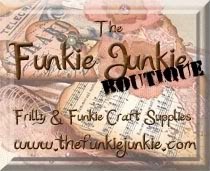 Today is my day to post over at the eclectic Paperie blog and I made some fun little boxes using the Tim Holtz Match Box Die. These are 2 5/8" x 1 3/4" x 1/2" in size. There are more pics and details on how I created these on my eclectic Paperie blog post here. I'd love it if you'd take a peek! I'm also entering this Bingo Match Box into the Frilly and Funkie Challenge - for all our fathers. 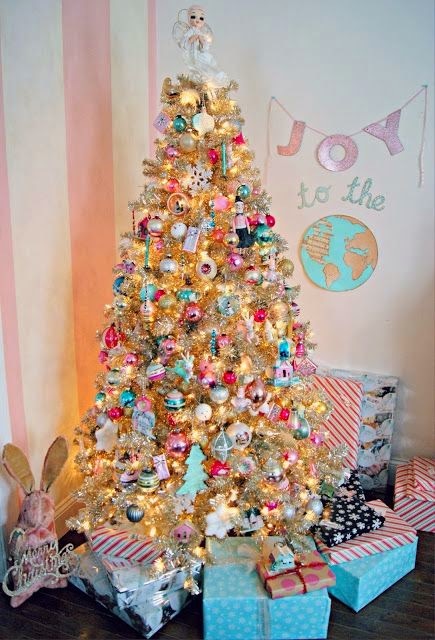 I'm getting this in just before the deadline! 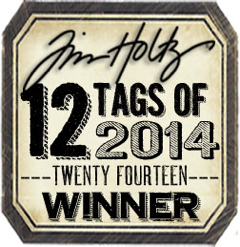 Tim Holtz Idea-ology 8" x 8" Paper Stash Collage. "Hi Everyone and welcome. [email protected] here - I'm so happy to be with you this fortnight as your host for another leg of our journey. This time we are thinking about Wings & Things, birds, bees, butterflies & dragonflies. Those delightful little creatures who come to visit our gardens in spring and summer. Please join us by making a card, tag or project being sure you show any one or all of these critters. 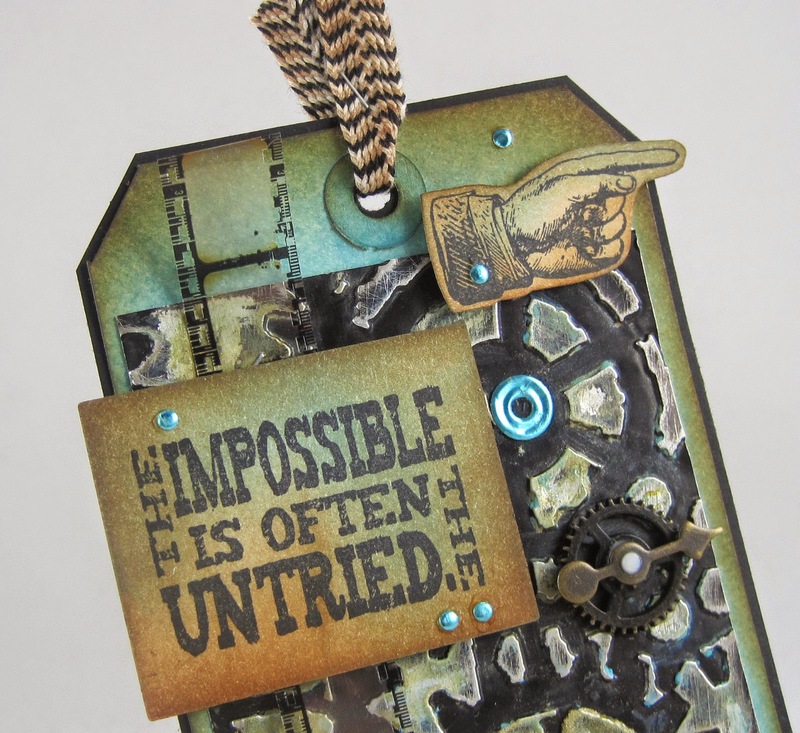 Our challenges are inspired by the products and techniques of Tim Holtz so don’t forget to let us know how your project was inspired by Tim. Take a minute to look over the Traveling Instructions and don’t forget, that all important, link to the Vintage Journey blog in your post." I used a burlap bag for my 'Wings and Things' project. This 5"x7" burlap bag started out life plain and simple. First I brushed on some Gesso and let it dry. Then I brushed on some Wendy Vecchi Crackle Texture Paste and let that dry. Next, I tore a piece of Tissue Wrap Melange where the beautiful big butterfly was along with some musical lines. I brushed Mod Podge on the back of it, laid it on my bag and brushed more Mod Podge to seal it onto the bag. After it dried - (there's so much waiting to dry with mixed media projects!) I sponged the edges with Vintage Photo Distress Ink. I die cut the Caged Bird out of Grungeboard painting the pieces with Silkes Acrylic Glaze. I painted the cage with Emperor Gold, the bird and branch with Bolivian Blue and the birds wing with Key Lime. These paints are SO deep in color and also have a shimmer to them. I adhered the wing to the bird and the bird to the cage with Glue N Seal and pinned the cage to the bag with a Trinket Pin. I wove some Linen Ribbon through the holes on the base of the cage - and wired some Type Charms to spell "FLY" through 3 of the holes. I just used some black coated wire I had in my stash. I added a black rhinestone to make the eye of the bird and some dots on the cage using a Gelly Roll Black Glaze Pen by Sakura. I added some Remnent Rubs/Botanicals to several places on the bag and cage. 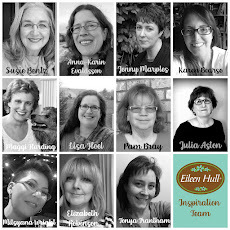 You really must check out all of the wonderful inspiration from the Vintage Journey Creative Guides (DT) - they are SO creative! I hope you'll create a Wings and Things project and link it up there too! A Santa Hat Times Two!